NOTE: We Recommend replacing plastic drain plugs with Stainless Steel Plugs when purchasing a Gen 7 Sea Pump! A: This pump comes complete, it will re-use your factory rear pump inlet. 4. How does my pulley install? A: You will need a simple professional pulley installation and removal tool. This tool is commonly found at any auto parts store. YOU CAN NOT PRESS THE PULLEY ON THE SHAFT. YOU MUST USE A PROPER PULLEY INSTALLATION TOOL TO INSTALL THE PULLEY. PRESSING THE PULLEY ON THE SHAFT WILL DAMAGE THE BEARINGS AND VOID THE WARRANTY! 5. Is any modification required to my factory mounting bracket? 6. What impeller does this pump use? 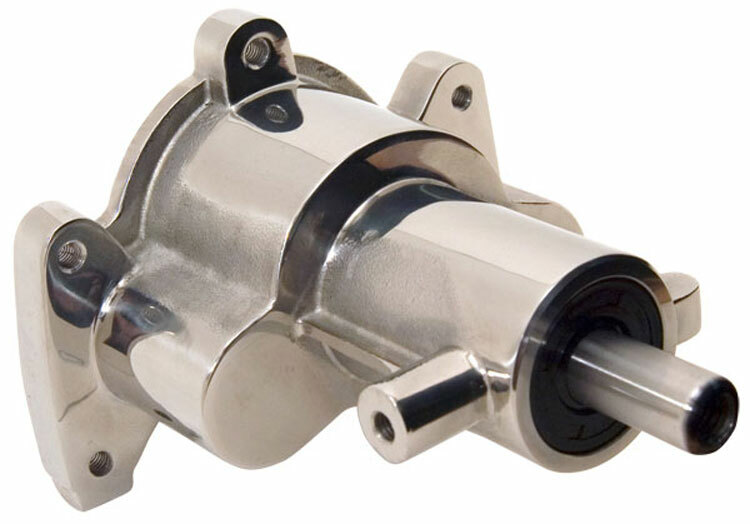 A: This pump features an upgraded larger shaft and bearing assembly and is designed to use the standard Mercruiser sea pump impeller that has been around for 30 years and is readily available across the country. The impeller is included in the kit. 7. What OEM sea pumps does this fit and what OEM #'s does it replace? 8. I'm having possible suction issues with my Mercrusier Gen 7 Pump, what can I do?